Please allow up to 2 hrs for points to update in the leader board! How do Points convert to tokens? 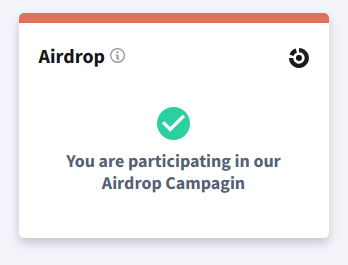 How do I know if I'm eligible for the Airdrop? How many tokens are available for the Airdrop? When/How will tokens be distributed for the Bounty/Airdrop? How do I connect my workID to the WorkChain.io Wallet? I have negative points on my dashboard, why? Where can I see my points balance for previous Bounty Periods? How many Bounty Periods are there, where can I view the details? During each bounty period the top 5,000 bounty hunters, by points, will be eligible to win tokens. Tokens will be given out based on teir following this spreadsheet. 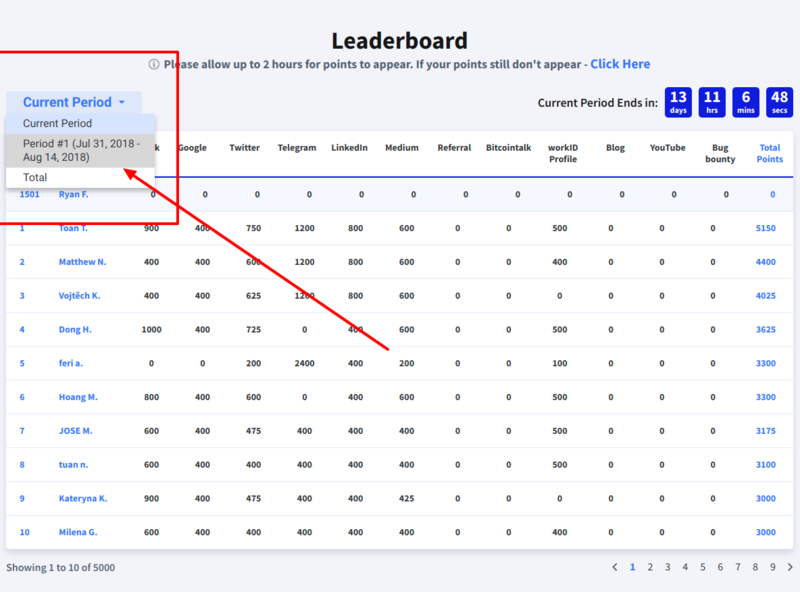 If you are not in the top 5,000 you won't receive any tokens. Note: It's possible to be eligible for both groups as well as the Bounty, so there is lot's of opportunity!! At the end of all Bounty Campaigns our team will do a final tally of all points and do a single token-distribution to all winners across all periods. While we expect this to happen shortly after the final Bounty Campaign please allow our team up to 8 weeks for the final distribution. (January 28th, 2019). Tokens will be distributed to your WorkChain.io Wallet through a payroll contract which means you'll be part of the first group of users to experience our new payroll system that enables real-time payouts of any ERC20 based token. Note: WorkChain.io reserves the right to transfer tokens to your managed wallet prior in order to unlock upgraded membership status for your account. Connecting your workID to your workChain.io Wallet will be required in order for you to receive your bounty tokens. Please stay tuned, we will update back by December 31st with details on how to complete this important step. After you have joined our Telegram Channel and Followed us on Twitter, please make sure your accounts are connected from the Bounty Dashboard. Referred users must activate their account (email) as well as link at least 1-social for your points to appear. Note: Due to a high % of spam, we are making our referral tracking much smarter and users that are caught trying to game our system with spam referrals will be removed from all bounty periods. You have been warned. We introduced negative point scoring for users that were submitting Spam to our team to review to help reduce the amount of noise that we're receiving so we can focus on high quality content submissions. There are a total of 8 Bounty Periods, and you can view all details in this spreadsheet.